Air & Space Power Journal 'Convincing.' Pennant: The Journal of the Forces Pension Society. 'Fascinating.' Magweb. War is a deadly game of chance where a single detail or decision can have far-reaching consequences. What if Hitler's generals had captured the cream of the British Expeditionary Force at Dunkirk? What if Turkey had sided with Germany and smashed through Russia's back door to claim the prized Caucasus oil fields? What if Rommel had driven the British back into the sea on D-Day and the Luftwaffe had defeated the RAF in the Battle of Britain. The Allies could have lost the Second World War in many ways, and ten noted historians show clearly how in this collection of fascinating, provocative scenarios, based on meticulous research. 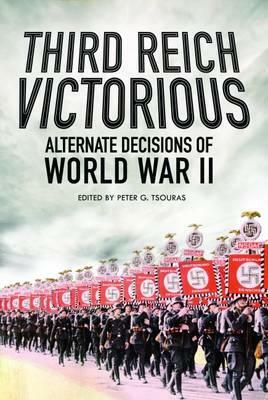 By turns gripping and chilling, Third Reich Victorious offers a fresh insight into the vagaries of war that can make all the difference between the victor and the vanquished.